More than anything, we want to find out what’s holding you back from achieving your business goals. We’d like to fully understand your current marketing strategy, the challenges your company is facing, and most importantly, determine what we can do to help. Easter is on its way, and with it comes the opportunity to plan an array of holiday strategies across your inbound marketing channels. It’s a holiday that represents new beginnings, so it could be high time to give your blog a spring clean, and create your Q2 editorial calendar. Your audience may have time off over Easter, so B2B companies take note. On the other hand, Easter is the perfect excuse for special offers, especially for B2C companies. Your buyer personas’ keyword choices might not be affected by Easter, but their search habits might. If you’re in B2B it’s likely you’ll want to alter your AdWords settings, turning them off for the long Easter weekend. In the build up to Easter, you may want to tie a special offer into your ad copy, alongside your keywords, notifying your audience of a discount code for example. Limited time only deals can be a great way to draw people in at any time of year, and holidays are no exception. Be it a blog post, an Easter egg hunt game, a competition or a downloadable resource, Easter, like Christmas, could be an ideal opportunity to publish some special or promotional content. Even if it’s not technically focussed around the topic of Easter, you could publish a free eBook as an ‘Easter gift’ to your email list, for example. Sending Easter emails out might just be the tactic to beat all tactics when we talk about price/performance. It’s quick and cheap, and still the number one marketing channel in terms of ROI. Send your B2B emails no later than Wednesday, as the long weekend makes Thursday the new Friday. B2C emails, on the other hand, can go out for the duration of the period, since consumers are probably going to be more active and engaged on their smartphones during their time off work. We're entering the spring season, so it's the perfect time to talk about new beginnings. You may also want to send reminders and follow-up emails about special offers, new content and sales. Changing Twitter headers and Facebook cover images in line with the seasons is a fun way to freshen up your social media accounts, but don’t let that be the only thing you do. Research whether there any popular Easter hashtags doing the rounds that are relevant to your company or industry, and post your special promotions or Easter-related content to drive traffic to your website. 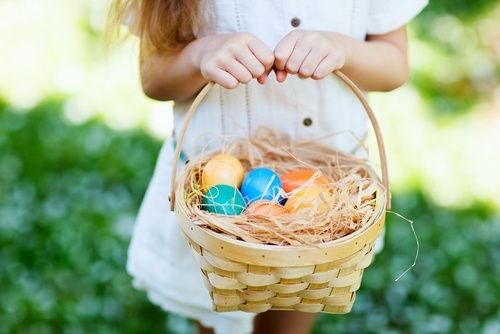 There’s countless ways to update your inbound marketing for Easter, from limited time only deals to email marketing campaigns, and we hope this post has given you some inspiration. Whether you employ just one of these ideas or several, we wish you all the success this Easter! For insights on how to improve your inbound strategy at any time of year, download our latest eBook, 4 ways to optimise your inbound marketing.